Adoption Case Brings Rare Family Law Dispute To High Court After a South Carolina couple adopted a baby girl, her biological father sought full custody. Normally, the Supreme Court does not hear such disputes, but this case tests a federal law meant to stop Native American children's being improperly taken from their families. This October 2011 photo provided by Melanie Capobianco shows her adoptive daughter, Veronica, trick-or-treating in Charleston, S.C. The child has been the focus of a custody battle between her adoptive parents and her birth father. Take the usual agony of an adoption dispute. Add in the disgraceful U.S. history of ripping Indian children from their Native American families. Mix in a dose of initial fatherly abandonment. And there you have it — a poisonous and painful legal cocktail that goes before the U.S. Supreme Court on Tuesday. At issue is the reach of the Indian Child Welfare Act, known as ICWA. The law was enacted in 1978 to protect Native American tribes from having their children almost literally stolen away and given to non-Indian adoptive or foster parents. Two of the justices likely have a special interest in the case: Chief Justice John Roberts and Justice Clarence Thomas both have adopted children. The case before them and the other justices is a tragic saga. Christy Maldonado, an Oklahoma resident of primarily Hispanic heritage, was engaged to be married to Dusten Brown, a member of the Cherokee Nation, who is technically about 2 percent Native American. In 2009, Christy, a casino worker and single mother of two, told Dusten she was pregnant. But the relationship deteriorated and she broke off the engagement. Beyond these facts, the protagonists in this story agree on little. One fact, though, is beyond dispute: Whatever happened in the first few months of the pregnancy, Dusten eventually texted Christy that he was giving up his parental rights and would not support the child. "It punched me in the gut, knowing that the father of my child did not want her at all," Christy says. "That's when I pretty much decided I had to do something because I could barely even put food on the table for the kids at that time." Christy decided to put her child up for adoption. Through an agency, she found a couple in South Carolina she liked, Matt and Melanie Capobianco, and the three agreed to an open adoption. The Capobiancos helped support Christy in the last months of the pregnancy and were in the delivery room for the birth. Matt cut the umbilical cord. A month prior to the birth, Christy, through her lawyer, sent a letter notifying the Cherokee Nation of her adoption plans, giving them a chance to intervene under the Indian Child Welfare Act. The tribe said it had no record of Dusten Brown as a tribal member. So the adoption went forward. Four months after the birth of the baby girl — as Dusten was about to deploy to Iraq, and as the adoption was about to become final — he was served with papers notifying him of the adoption. Dusten signed off on them, inadvertently, he says. But within days he filed a formal objection, invoking the Indian Child Welfare Act. He says that in agreeing to give up his parental rights, he thought he was relinquishing his parental rights to Christy. "I just figured the best interest would be ... for [Christy] to have the full custody of her, but for me to still be in the picture — be able to come visit and stuff," he says. But after learning about the adoption, he sought full custody of his daughter. While there is no doubt that he would have had no leg to stand on under state law, by the time the case went to court, the Cherokee Nation had located him in its records. And the South Carolina courts ruled that the Indian Child Welfare Act trumped state law. 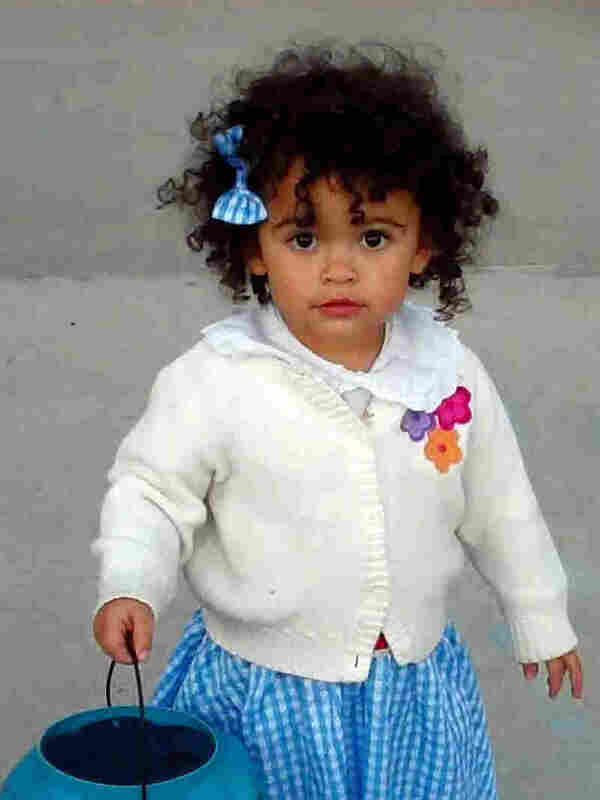 In December 2011, the South Carolina Supreme Court ordered the Capobiancos to give their then-2-year-old daughter to her biological father, a man she had never met. "It was by far the worst day of our lives and I'm sure of hers," says Matt Capobianco. "She cried after us," Melanie adds. The adoptive parents appealed to the U.S. Supreme Court, backed by the birth mother and the guardian ad litem, appointed by the South Carolina family court to represent the best interests of the child. Normally, the Supreme Court does not hear such family law disputes, but this case is a test of the Indian Child Welfare Act. The law was enacted after extensive congressional investigations and hearings revealed that 35 to 40 percent of Native American children were being improperly removed from their families and given to white adoptive and foster parents. Charles Rothfeld, Dusten Brown's lawyer, notes that these abuses were "catastrophic" for the tribes, which "were at risk of becoming extinct because their children were literally being taken away from them." To combat the dire situation, ICWA established a chain of adoptive preferences for children with Indian heritage. In the event that neither parent could take custody, other Indian family members were to have priority, and after that, tribal adoptive parents. Just how you see this case is something of a Rorschach test, with the adoptive parents seeing it one way, the father another, the mother yet another, and the court-appointed guardian still another. As the adoptive parents see it, they were not stealing a child from an Indian parent because the only parent with Indian heritage had already given up his parental rights. And as the Capobiancos' lawyer, Lisa Blatt, puts it, the federal law was meant to protect Indian children from being snatched from their existing Indian families. Even if Dusten qualifies as "a parent" under the law, "the Indian Child Welfare Act only protects those parents who already have a prior custodial relationship," she argues. Not so, say the tribes. They see the case as an attempt to undo the protections that Congress established in the face of evidence that states were trampling on the rights of Native American parents. "Congress decided it had to step in," says Rothfeld, and it did so by creating "special federal rules superseding state custody rules that would govern where Indian child custody was at stake." The case also is about the autonomy of a non-Indian mother. The birth mother's lawyer, Lori Alvino McGill, contends that if Indian fathers can sweep in this way, based only on biology, and override the birth mother's decision, why couldn't sperm donors or rapists who are Indian do the same? "No other set of men can choose to kind of sit back, renounce all responsibility but hold a back-pocket veto to an adoption choice," she says. The guardian ad litem, represented by lawyer Paul Clement, scathingly says there is "no box" like the one Dusten Brown is seeking to check. "Generally you're not allowed to say, 'Well, look, I don't really want to give you any financial support, I don't really want to have much to do with this child, but I do really want you, person I've just gotten pregnant, I want you to take care of this child, and I don't want you to do something like give up this child for adoption,' " he says. What's more, he adds, under state law, it is the best interests of the child that prevail. "Except if this federal statute applies and applies only on the basis of her Indian heritage, well, then everything changes. ... It just completely shifts the focus of the whole proceeding around based on race," says Clement, and "that's something that we generally wouldn't think the Constitution allows." Native Americans bristle at the charge of racial classification. Indian tribes, they note, are quasi-sovereign nations recognized by the U.S. Constitution. "This law does not apply because of race," says Chrissi Nimmo, assistant attorney general of the Cherokee Nation. "This father was a citizen of the [Cherokee Nation's] government; it's not just if you have Indian in your background." Whichever way the Supreme Court rules in June, the case of "Baby Girl," as she is referred to in the briefs, is heartbreaking. No one disputes that she was sublimely happy with her adoptive parents, and videos of her with her father, now married, seem to show a little girl equally happy. Her birth mother says that while she spent time with her child at the adoptive parents' home in South Carolina and listened to her child on the phone regularly, she now does not even know where her daughter lives. Neither do the adoptive parents. Dusten Brown says he has kept his daughter apart for the past 16 months to allow her to become used to her new home, away from the chaos and bitterness of the legal fight.